2004 Nitro NX750DC 2004 Nitro, NX750DC. Excellent condition! 115 HP Mercury OB with SS prop. Complete engine serviced 3/17. Motor Guide 67 lb. 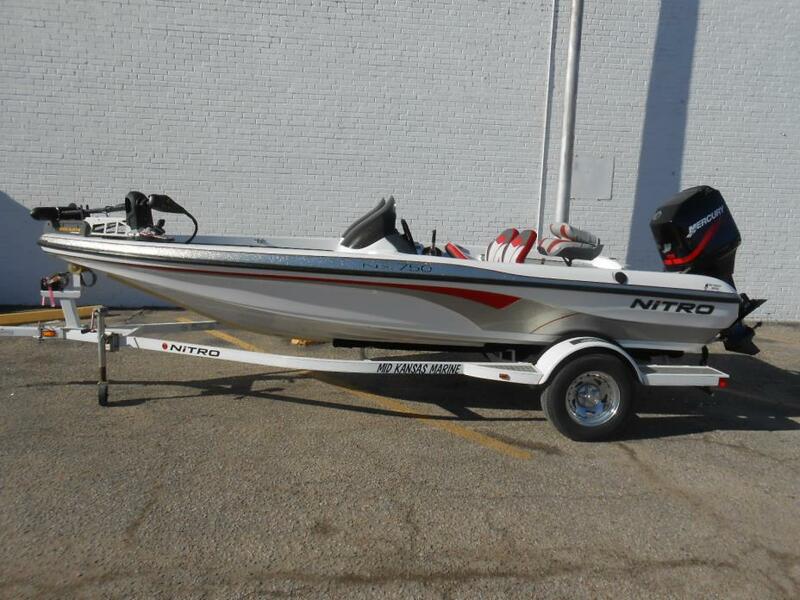 thrust, 5 speed trolling motor (new 5 speed switch). 18 ft. black painted trailer with aluminium step pads and swing away tongue. Three new batteries, 3/17. Three bank bat. charger. Full boat cover. 20 lb. anchor with 50' rope. Lowrance fish finder. Meridian marine GPS. Five storage compartments, plus, 2 under seats. Split live well. Five (5) life jackets. Two night lights & 200W spotlight. Over $800 worth of tackle and equipment. Approximately 100-150 engine hours. THIS IS A MUST SEE! 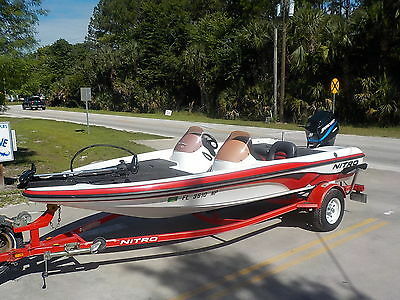 2005 Nitro NX 750 DC, 2005 Nitro NX 750 DC equipped with Mercury 115 hp outboard motor and Minn Kota Fortrex 24V trolling motor. 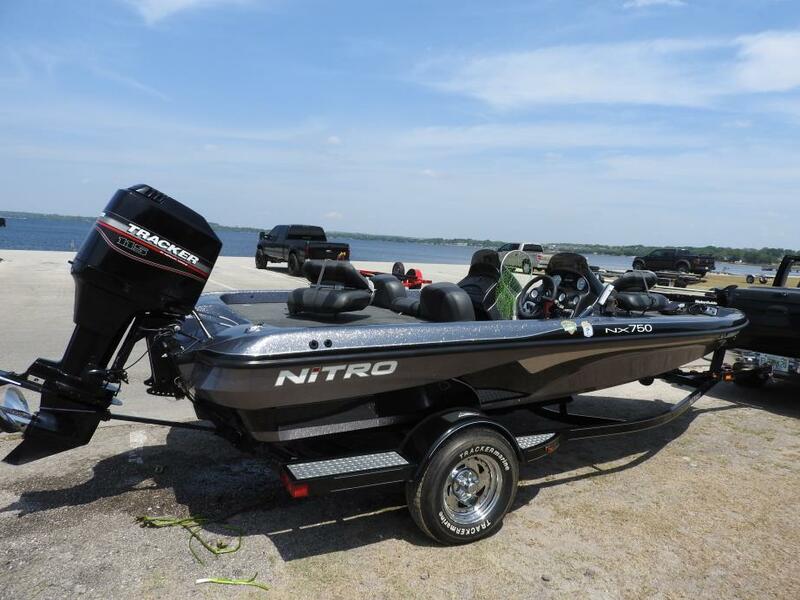 Boat includes 2 depth finders - Hummingbird 778c HD and 798 ci, battery charger, livewell, and single axle trailer with swing tongue. 5 person capacity. Please call before coming to view as our inventory changes location frequently.